Well...I have completed the 90 Day Challenge with Zeal for Life (see my first review here). And it couldn't have come at a better time seeing that I will probably be in a bikini later this week on a beach in Spain! I can honestly say that it has worked. I have lost some weight (about 5-7 lbs), toned up significantly and have become a healthier me! As a matter of fact, in the last 30 days alone, I have ran over 44 miles!! Woo hoo! The increased energy is amazing and I am so happy to have found this product. 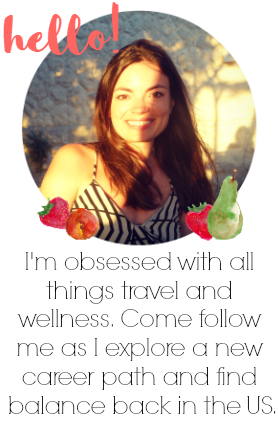 In fact, I have decided to start a blog dedicated to health, fitness and Zeal so as not to bog my travel readers down with health crazed info :) So if you are interested in being a healthier you, head on over to my new little space! check out my new space! Of course, Gunters Abroad will be my main source to share all things travel and England. It's a funny thing, to have two blogs. I really love what Gunters Abroad has become. It's a creative space for me to keep up with my love for photos and gives me a reason to really learn about the places we travel to. However, my journey to become truly healthy and share Zeal with the world is something completely different. Fit for Life will be a space not geared towards the creative side but mostly just a place to share information about being healthy and fit. A place to share milestones and be accountable for my health, along with inspiration for my readers. So if you are interested in a little motivation to become healthier with me, come take a peek! And if you don't really care to follow...no biggie :) The blog is still in the beginning stages and will be finding its path over the next few weeks. I am excited to start something new while continuing to build Gunter's Abroad! And this gives me the perfect opportunity to thank all of my readers! I really and truly love "talking" with all of you about travels and making a new home in a new country :) You are all blessings! Get ready for some amazing Spain scenery coming to you next week! Happy Monday everyone!